The animated Disney and Pixar hit "Coco" ruled at the North American box offices for a second week, figures out Sunday showed, beating out superheroes, dramas and Christmas comedies. The film tells the story of a 12-year-old Mexican, Miguel (Anthony Gonzalez), who longs to become a musician but faces a generations-old family ban on music. It netted an estimated $26 million for the three-day weekend and $109 million since it opened over the Thanksgiving Day holiday, Exhibitor Relations said. 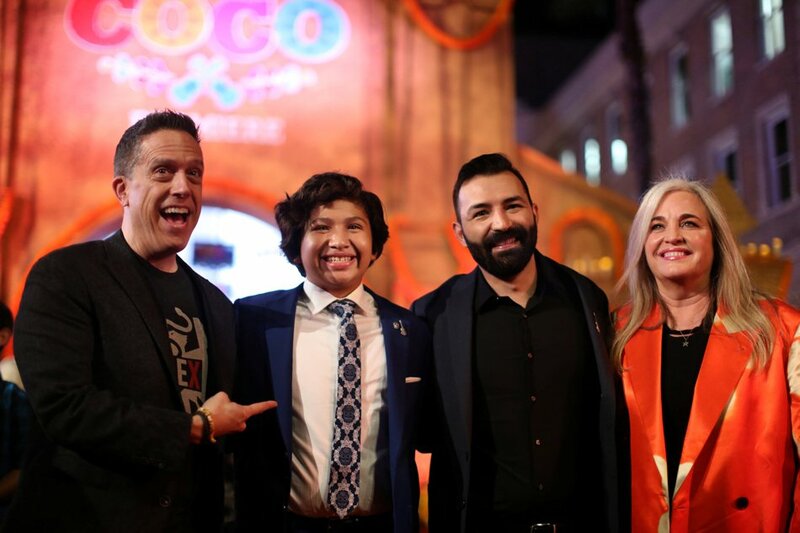 "Coco," which takes Miguel into the magical Land of the Dead, where trickster Hector (Gael Garcia Bernal) helps him unravel a deep family secret, received a rare A+ rating from audiences surveyed by CinemaScore. In second place again this weekend was Warner Bros. film "Justice League," with a three-day take of $16.6 million in its third week out. The superhero all-star cast of Gal Gadot as Wonder Woman, Ben Affleck as Batman, Henry Cavill as Superman, and Jason Momoa -- Khal Drogo of "Game of Thrones" -- as Aquaman joining to fend off supervillain Steppenwolf (Ciaran Hinds). Third, also in its third week out, was Lionsgate's feel-good film "Wonder," which netted $12.5 million over the weekend. The movie, starring Julia Roberts, Owen Wilson and Jacob Tremblay, tells the story of a fifth-grade boy with a facial deformity who must deal with other children's shock and bullying when he first attends a mainstream school. "Thor: Ragnarok," from Disney-owned Marvel, claimed fourth place with $9.7 million. The film features the self-effacing humor of Chris Hemsworth as the powerful Norse god and Cate Blanchett as death goddess Hela. "Thor" has netted $291.4 million since its debut five weeks ago. In fifth place was the Christmas comedy "Daddy's Home 2" from Paramount, netting $4.5 million over the weekend. It stars Will Ferrell and Mark Wahlberg as the less-than-competent co-parents of Wahlberg's kids as they cope with their own visiting fathers (John Lithgow and Mel Gibson). The movie has netted $88 million since its debut four weeks ago. None of the week's newly released movies cracked the top 10 list.